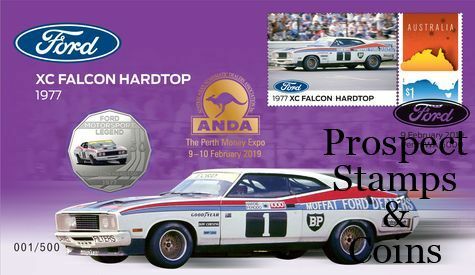 The 2019 Ford Performance Falcon XC Hardtop overprinted Stamp and Coin covers were produced by ANDA exclusively for the Perth ANDA Money Expo. These overprinted stamp and coin covers are limited to only 500 covers and was sold out before the end of the show. 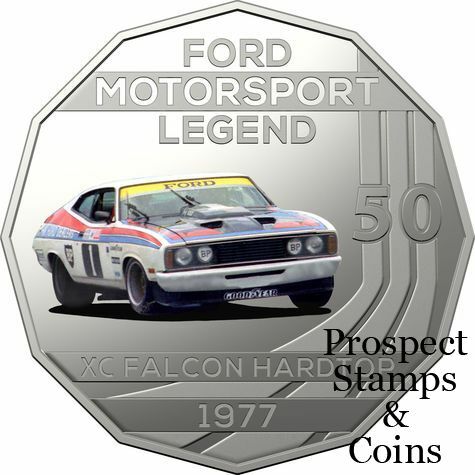 Number shown in image is used for illustration purposes only and may not be the number supplied.